Oxford, England, Jan 9, 2019 / 04:05 pm (CNA).- Oxford University is standing by an emeritus law professor after more than 400 people have signed a petition calling for his removal from the university. Petition organizers say the professor holds discriminatory views about homosexuality and transgenderism. 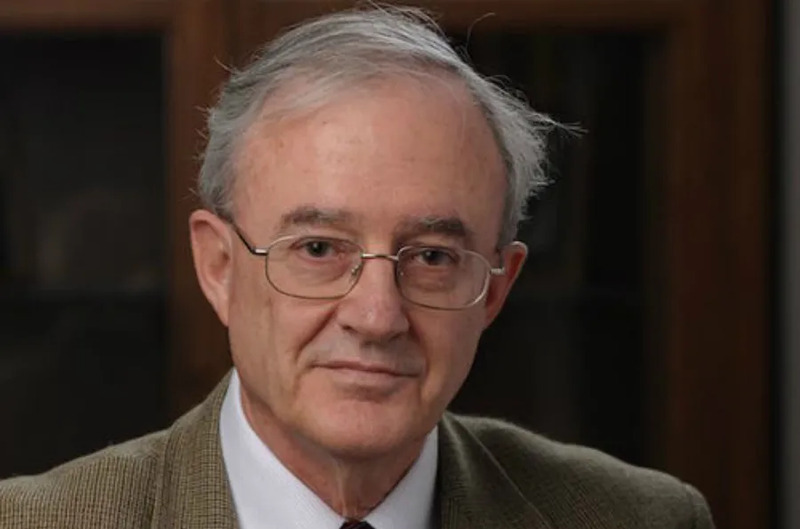 “John Finnis, Professor at Oxford’s Law Faculty, has a long record of extremely discriminatory views against many groups of disadvantaged people. He is known for being particularly homophobic and transphobic,” the petition reads. Finnis, 78, is in fact an emeritus law professor at Oxford; he retired from full-time teaching work in 2010, but co-teachers seminars for postgraduate students. He also holds a chair at the University of Notre Dame’s law school. The professor is known in philosophical circles as a proponent of the “new natural law” theory, which holds that by recognizing certain basic human goods, moral norms can be identified through practical reasoning. The professor is a Fellow of the British Academy, and was a member of the International Theological Commission of the Holy See, the Pontifical Council of Justice and Peace, and the Pontifical Academy Pro Vita. 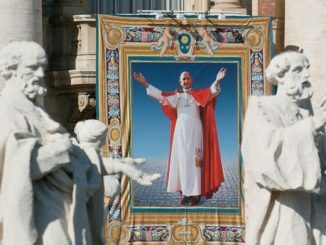 Rome, Italy, Jun 1, 2017 / 03:04 am (CNA/EWTN News).- Ten years after Benedict XVI broadened access to the celebration of the Traditional Latin Mass, the document by which he did so is being hailed as a means of closing the rift of division following liturgical changes made after the Second Vatican Council. “Sometimes there are these polemics, but I think Benedict tried to overcome these polemics, saying that even in the liturgy there is a certain progress … but clearly in full continuity with the tradition of the Church,” Fr. Vincenzo Nuara, OP, told CNA May 31. Tensions were heightened after the Second Vatican Council’s reforms, and “unfortunately these situations of contrast, of opposition are created” even today, Fr. Nuara said. In light of this situation, Benedict XVI’s 2007 motu proprio Summorum Pontificum, which widened access to the pre-Vatican II liturgy, “was not an instrument to divide” or throw further fuel on the flames, he said. “I see it as a positive instrument, not negative,” Fr. Nuara said. “It’s not an instrument for going backwards. It’s an instrument to reconnect ourselves in continuity” with different ecclesial styles. Fr. Nuara is president of the association “Priestly Friends of Summorum Pontificum” and founder and spiritual assistant of the “Youth and Tradition” association. He is also one of the organizers of an upcoming Sept. 14-17 pilgrimage marking the 10th anniversary of Summorum Pontificum, and spoke to journalists at a working breakfast on the event. The motu proprio was issued July 7, 2007, and went into effect Sept. 14 of that year, the feast of the Exaltation of the Cross. The document established that the post-Vatican II Roman Missal, first issued by Blessed Paul VI, is the ordinary form of the Roman rite, and that the prior version, last issued by St. John XXIII in 1962 and known as the Traditional Latin Mass or the Tridentine Mass, is the Roman rite’s extraordinary form. In the motu proprio, Benedict noted that the Traditional Latin Mass was never abrogated. He awknowledged clearly the right of all priests of the Roman rite to say Mass using the Roman Missal of 1962, and established that parish priests should be willing say the extraordinary form for groups of the faithful who request it. Benedict also established that the faithful could have recourse to their bishop or even the Vatican if their requests for celebration of the extraordinary form were not satisfied. The provisions of Summorum Pontificum for the use of the extraordinary form replaced those of St. John Paul II laid down in Quattuor abhinc annos and Ecclesia Dei. According to that indult, priests and faithful who wished to celebrate the Traditional Latin Mass had to get permission from their bishop to do so. It could only be for those who requested it, could not normally be said at parish churches, and the bishop could set days and conditions for its celebration. After the Second Vatican Council, the Missal issued by Bl. Paul VI, also known as the Novus Ordo, was widely adopted. It was widely translated into vernacular languages, and is often celebrated with the priest facing toward the congregation. 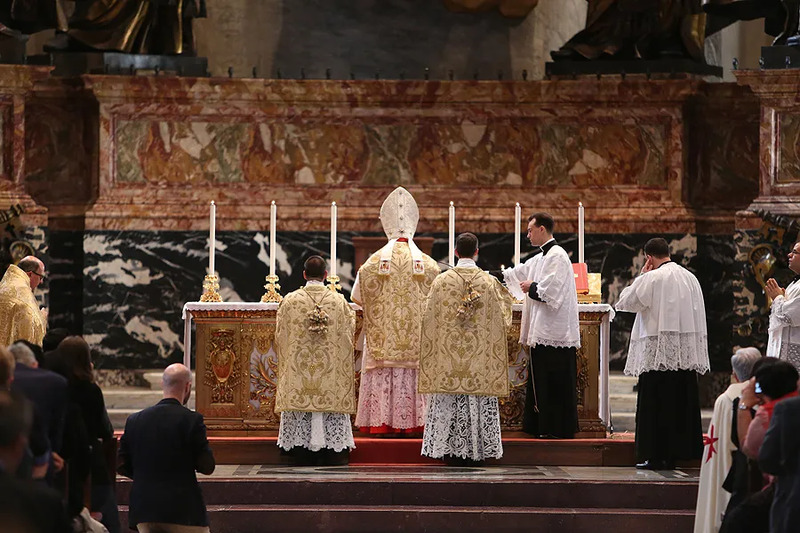 However, not a few faithful continued to be attached to the earlier form of the liturgy, and Benedict’s motu proprio was considered a generous response to these faithful. This mutual enrichment is a discovery Fr. Nuara said he himself has made in his 25 years as a priest, during which he has celebrated both the new and ancient liturgical formulas. “Benedict is a positive man. Benedict, who reflects as a theologian and a pastor, realized that the ancient form that has grown in the history of the Church for years, can give new impetus to the new form,” he said. Benedict himself celebrated the new form of the liturgy “with great dignity,” but before his election as Bishop of Rome was also known to celebrate the ancient liturgy with the same esteem. What Summorum Pontificum seeks to do, then, is to work for this unity, he said, adding that at 10 years since its publication, his hope is that people from both sides will work toward this goal. When the Summorum Pontificum Pilgrimage takes place in September, it will be a privileged time to show this unity, he said. The event’s first day, held at the Pontifical University of St. Thomas Aquinas, will feature keynote addresses from Archbishop Guido Pozzo, secretary of the Pontifical Commission Ecclesia Dei; Cardinal Gerhard Müller, prefect of the Congregation for the Doctrine of the Faith and president of the PCED; and Cardinal Robert Sarah, prefect of the Congregation for Divine Worship. Pilgrims who come will participate in various other activities throughout the rest of the three days, including adoration and a Eucharistic procession presided over by Archbishop Pozzo on Sept. 16, followed by a Pontifical High Mass said by Cardinal Carlo Caffarra, Archbishop Emeritus of Bologna. Titled “Summorum Pontificum: A renewed youth for the Church,” the pilgrimage is being organized by the “Priestly Friends of Summorum Pontificum” and “Youth and Tradition” associations in partnership with the Coetus Internationalis Summorum Pontificum. “Benedict XVI already in 2007 was aware that the new recipients of this liturgy, loved, desired and also sought, were the youth,” Fr. Nuara said. Pope Francis has also commented on the fact that many of the enthusiasts for the Traditional Latin Mass are young people who never knew it growing up, but encountered it later. “Youth can’t be nostalgic for something they didn’t know,” Fr. Nuara said, adding that “this is very nice, because by experience I can say that the youth who draw near to the ancient liturgy of the Church love it” for the reverence and silence of the celebration. London, England, Jul 31, 2017 / 10:31 am (CNA).- Charlie Gard, an 11 month-old British infant who made headlines around the world over a fierce legal battle on parental rights, had been baptized the same week he died. In April, a picture of his tiny fist made the rounds on the internet of him clutching a St. Jude medal. Family spokesperson Alison Smith-Squire announced on Sunday that he will be buried with his toy monkeys, pictured with him in one of the viral photos of the boy. “We should be planning Charlie’s first birthday but instead we’re planning his funeral,” his mother said, according to the Sun. According to the Sun, his parents spent the weekend with family and on Monday were planning to register his death. They had wanted to keep a low profile from the media after the boy’s passing. Charlie had been at the center of a legal battle between his parents and the Great Ormund Street Hospital (GOSH), an internationally known children’s hospital where he was being cared for. The case raised questions about medical ethics, end-of-life procedure, and parental rights. Charlie was born on Aug. 4 last year, and in September was discovered to have a rare genetic condition which resulted in muscular deterioration. He was believed to be one of 16 sufferers of the disease in the world. He was admitted to GOSH in October, and in a series of court cases stretching from March to June, judges repeatedly ruled in favor of doctors who wished to have the boy’s life support removed, all the way to the European Court of Human Rights’ rejection to hear the case. Yates and Gard had hoped to take Charlie to the U.S. for experimental treatment. In early July, both Pope Francis and U.S. president Donald Trump intervened in support of the family on twitter. Trump said that the United States would cooperate with the boy’s parents in helping Charlie receive the experimental care. On July 10, unpublished research on Charlie’s condition seemed to indicate the therapy being developed in the States could improve his condition. However, as weeks passed, his condition deteriorated beyond chance of improvement, and GOSH doctors insisted that international specialists claiming he could improve had not fully reviewed his medical records. Yates and Gard conceded their legal battle on Monday after the latest medical reports indicated their son was beyond improvement indefinitely, and began fighting to have him spend a week in care at home before life support would be pulled. On Thursday, Yates announced that they had been denied their wish to have him die at home. The boy’s parents had wished to spend a week with him in hospice. This too, however, was denied to them on the grounds that it may cause Charlie prolonged suffering, according to GOSH doctors. The boy’s death was announced on Friday in a statement from the family. A number of prominent figures, both from the secular and Catholic worlds, made statements on the passing of the little boy whose plight sparked international support as well as a debate on medical, infant, and parental rights. Shortly after his passing was announced, Pope Francis tweeted his solidarity with the parents. “I entrust little Charlie to the Father and pray for his parents and all those who loved him,” the pontiff said. He had previously made two statements in support of and solidarity with the child and his parents. One of these statements led to “the Pope’s hospital,” l’Ospedale Bambino Gesù, offering to care for Charlie. The Great Ormund Street Hospital, where Charlie spent much of his final months, sent “heartfelt condolences.” Charlie’s parent had accused the hospital of putting up “obstacles” to allowing their child to die at home. The parents’ taking GOSH to court was the spark that lit the months-long legal turmoil for the family. The March for Life issued a statement with their condolences and offering their prayers for the family. “Though his life here on earth was cut short, Charlie’s spirit will continue to inspire an international fight to ensure that the sanctity of every human life is respected,” the March’s statement said. 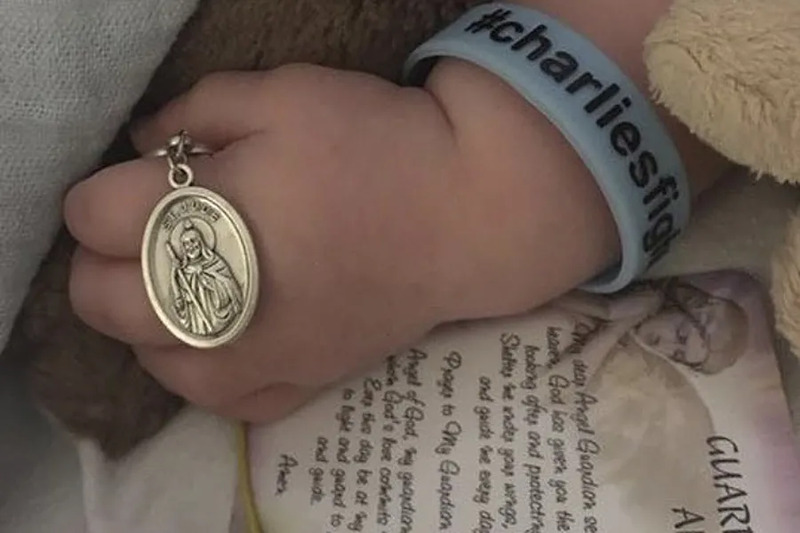 Catherine Glenn Foster, President and CEO of Americans United for Life, issued a statement saying that “Our hearts are heavy today as we learn of Charlie Gard’s passing. We are so thankful for his life, which though too brief, has made a lasting impact on the world and drawn together people from all walks of life and political persuasions, uniting them around the dignity and value of every human being.” She also offered condolences to the parents and assured that “Charlie’s legacy” would build a culture of life. The Catholic Association (TCA) also offered their condolences, noting that Gard and Yates had to endure both the death of their son as well as a tumultuous legal fight. There is nothing that can be construed to be “phobic”, about recognizing that “when psychology is not ordered to biology, a disorder exists”. The Rights and Dignity of all human persons can only be affirmed with the recognition of the universal truth, that can be known through both our Catholic Faith and reason, that from The Beginning, every human person Is Created In The Image and Likeness of God, equal in Dignity, while being complementary as a beloved son or daughter, Willed by God, The Most Holy And Undivided Blessed Trinity, worthy of Redemption, as a Reflection of Love, though not yet Perfected, through Salvational Love, God’s Gift of Grace and Mercy. Disordered Love is Love’s counterfeit. There is order in Truth, as there is order in Love. Just as every element of Truth will serve to complement and thus enhance the fullness of Truth, so, too, will every element of Love, serve to complement and thus enhance the fullness of Love. Truth and Love cannot serve in opposition to one another. It is important to note that the phrase “sexual orientation” is not radically equivocal, but rather, necessarily serves to sexually objectify the human person, who is not, in essence, an object of sexual desire/inclination/orientation, but first and foremost a beloved son or daughter. The phrase “sexual orientation”, which by denying personhood, through its sexual objectification of the human person and denial of the essence of being first and foremost, a beloved son or daughter, necessarily discriminates against being, in essence, a son or daughter, brother or sister, husband or wife, father or mother. The erroneous notion that private morality and public morality can serve in opposition to one another and are not complementary, has led to grievous error in both Faith and reason. Since it is true that the desire to engage in a demeaning act of any nature, does not change the essence of a demeaning act, and it is true that every beloved son or daughter has the inherent Right to be treted with Dignity and respect in private as well as in public, refusing to condone the engaging in or affirmation of any act, including any sexual act, that demeans the inherent Dignity of our beloved sons and daughters is an act of Love, not an act of discrimination. John Finnis a Transphobiac! Good news. Another label I’m happy to share along with Homophobic [although it’s not the literal meaning of fear of men rather fear of predatory gay men]. He deserves Oxford’s support because he defends the faith. Although defending the faith and defending human life can sometimes seem at odds. I just wrote a refutation of the distinguished professor’s position on infant craniotomy. Prof Finnis parses the interior act of the will known as intent arguing that one may not will the death of the infant lodged in the birth canal if the actual intent is to modify the skull’s dimensions for passage. Even if death is inevitable. The argument has merit if the surgeon does in fact attempt to modify by instruments designed to modify while seeking utmost care in preventing death, assuming a case when the mother cannot withstand a caesarean. However the works of Finnis I’ve read do not mention that. Instead they reference forceps which in such a case are designed more for crushing as in craniotomy than for modification of dimensions. His argument makes sense if one may rightfully will a good rather than the actual outcome of the procedure. Again the countermand remains. Craniotomy does not support that thesis. The reason as quoted elsewhere is stated by Aquinas. “The proximate end of an act of virtue must be entirely good because every privation of a good in any subject is an evil” (ST 1a2ae 21, 2). Aquinas distinguishes the interior act of the will, the will here the form of the act from the external act of the will [proximate end], its matter [materia circa quam], the latter as the object of the act. The end which is the intent and the end which is the external choice of the will, the act itself must both be good. Otherwise it’s not possible to distinguish good from evil since ultimately that is determined by what we do. Otherwise I fully support Prof Finnis in his exemplary witness to the truth of our faith. Those who shriek “Homophobia! Haters!” or “Transphobia! Haters!” are the ones who are actually filled with hate. They are stigmatizing moral judgments as irrational fears. They hate truth; they hate normality. Ultimately, they hate God. Leslie you’ve prompted me to be a language policeman. The Greek Homos means the same. The word I used Homo in Latin simply means Man. I’m turning in my badge now because I don’t like the job. i wish i could tell the professor that i suppport him as well.